What do you think is the difference between shamanism and witchcraft? Re: What do you think is the difference between shamanism and witchcraft? 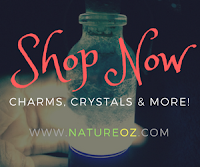 A witch taps into the power of the four elements (air, fire, water and earth) through the use of herbs, crystals, and anything that can be found in nature. He or she uses this accessible source of power to manifest a desire. A shaman, on the other hand, works with both benevolent and malevolent spirits to aid him/her in his/her spiritual workings. If you do both, you can call yourself as a "shamanic witch." For me witchcraft is a practice of folk magic or a craft that involves the use of nature's products ( herbs, stones etc. ), personal power, seasonal tides for magical purposes and to bring desires or wishes to manifestation. I think witchcraft is deeply rooted in shamanic practices and they share some similarities. I think some of the practices in witchcraft are originated from shamanism for example acquiring a spirit familiar is practice in witchcraft, however, shamans work with their power animals and animal totems.